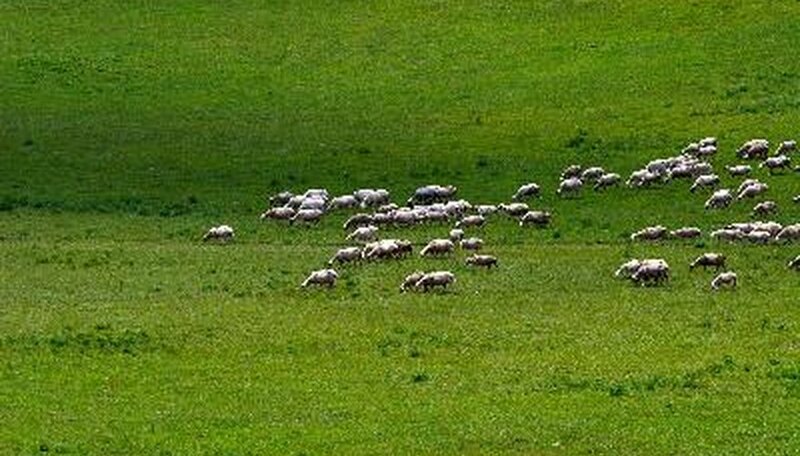 Nearly 40 percent of the earth's land surface is composed of grassland ecosystems. Grasslands throughout the world are essential to the survival of plant, animal, and bird species. Grasslands also play a vital role in sustaining human life. Different types of grasslands, such as prairies, savannahs, rangelands, agricultural grasslands, and coastal grasslands, serve a variety of purposes. "Rangelands are complex ecosystems," states the U.S. Geological Survey (USGS). Healthy rangelands "capture, store, and safely release water from rainfall, run-on, and snowmelt," according to the USGS. According to the Grasslands Conservation Council of British Columbia, grasslands function as a habitat for biotic components or living organisms "classified as producers, consumers or decomposers." For example, trees and plants produce nutrients through the process of photosynthesis, whereas consumers such as animals eat plants and other animals to get energy. Grasslands composed of grasses, such as wheat, provide grazing for livestock, as well as insect herbivores such as grasshoppers, locusts, and Mormon crickets. "Grasslands have been the seedbeds for the ancestors of major cereal crops, including wheat, rice, rye, barley, sorghum, and millet," states the World Resources Institute (WRI). Twenty-three Endemic Bird Areas include grasslands, which are important breeding grounds for thousands of bird species. The Andes in Peru, Central Chile, and southern Patagonia "rank highest for biological importance," states the WRI. Kandra Sperling is a freelance writer and photojournalist with more than 30 years' experience. She has worked as a community news editor, writer and photographer for the "Morning News of Northwest Arkansas." She has received three awards from the National Press Women's Association and numerous state awards. Sperling earned a bachelor's degree in English and journalism from the University of Arkansas at Fayetteville. Sperling, Kandra. "What Are the Functions of the Grassland Ecosystem?" Sciencing, https://sciencing.com/functions-grassland-ecosystem-5681746.html. 24 April 2017.